Few people know as much about the intersection of the music and marketing industry as Maurice Bernstein, the founder and CEO of the experiential brand agency, Giant Step. Bernstein has been in the music business for over 25 years, working in various parts of the industry throughout his career. From coordinating artist and brand partnerships like SXSW, Samsung 837 in New York’s Meatpacking district and Art Basel, to booking the first “big” shows for artists such as Amy Winehouse and Lady Gaga, to providing up-and-coming musicians a platform in the 1990s through Giant Step Records, Bernstein is a music marketing pioneer. “My career has been a very organic journey. Giant Step started as an underground club in New York City, putting on events and concerts and giving debuts to upcoming acts such as Massive Attack, The Roots, Digable Planets, Jamiroquai and Jill Scott,” explains Bernstein. One of Giant Step’s more successful campaigns was with Intel. Intel turned to Giant Step to expand their “Music Experiment” platform to introduce millennials to a new product. To achieve this task, Giant Step focused on using music, social media and technology to expand the multi-platform series. Giant Step planned and produced secret themed events, creating a gamified experience for fans to win exclusive access to shows that included Arcade Fire at Capitol Records in Los Angeles and Empire of the Sun at Gotham Hall in New York City. All shows were live-streamed and broadcast post-event, while the Los Angeles event was also broadcast on Jimmy Kimmel Live. Giant Step developed and executed holistic lead-in promotion, social media, and public relations campaigns tailored to each market and artist. In conjunction with the PR teams of the associated acts and organizations, they formulated PR strategy, execution and coordination. Giant Step developed partnerships with local promoters and influencers and held Instagram contests on-site and many other social media activations to drive fan sign-ups in order to win tickets and special prizes. Bernstein has worked with artists ranging from Disclosure and Radiohead to Adele and John Legend, and he discussed the future of brand / artist partnerships with Paste, and their key role in supporting artists in the face of today’s tumultuous industry. Paste: What’s your take on brand / artist partnerships and how the relationship has evolved? One also has to remember that back then, artists had reliable streams of income from physical music sales, and labels were able to support large marketing budgets even on emerging artists. As the business shifted from sales to streaming, artists started looking at other forms of revenues to support their craft. This is where the importance of brand partnerships came more into play. The complexity of these relationships has evolved, too. Initially, they were sponsorship deals with a simple value exchange, i.e. a brand adding a banner/logo to the tour in exchange for certain amount of money. The old model of sponsorships has been replaced by partnerships creating a much more collaborative and symbiotic relationship. Paste: What are some examples of what you’re seeing in the industry that’s working and what’s not? Bernstein: In order to set the relationship or platform up for success, I believe the most important thing about a partnership between an artist and a brand is authenticity. 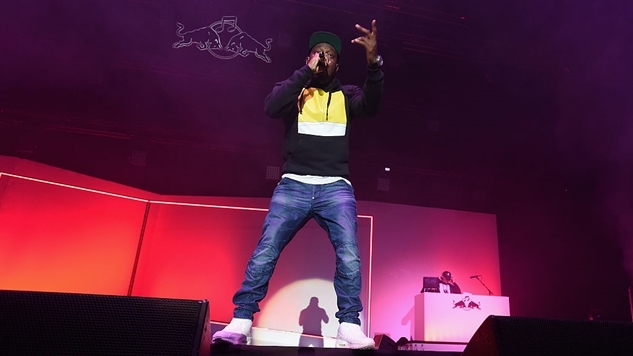 Music platforms like Red Bull Sound Select and Red Bull Music Academy (RBMA) put the artist and art form first. Sound Select is dedicated to artist discovery and helping up-and-coming artists get exposure, and RBMA is focused on education in all facets of music—production, insights, interviews, experiences and concerts. I have great respect for Red Bull and their ongoing investment in the next generation, as well as their devotion to unearthing and respecting important music icons who have been overlooked by mainstream audiences. Paste: What are the top three most important things when creating a campaign? Paste: What makes a brand / artist partnership great? Brands must provide an artist with the opportunity to unleash their passion to do something they have only dreamed of doing and then make it happen for them.